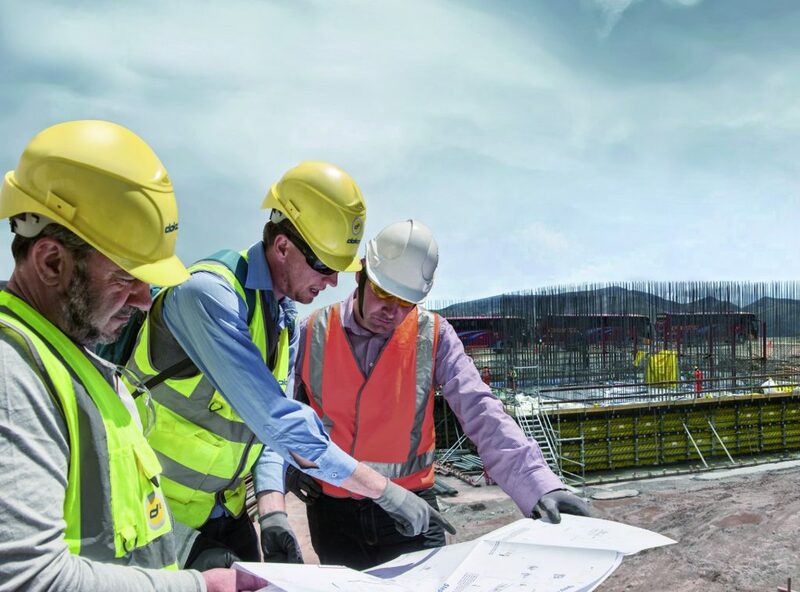 Doka UK 8 February 2019.- It is no secret that the UK construction industry is experiencing a prolonged and increasing skills shortage, but what is the current situation and forecast for 2019 and beyond? What public resources are needed to improve this predicament? What can construction companies do to attract skilled personnel into the industry? In this article, we delve further into this topic, highlighting analysis with reference to various sources, including UK Construction Media, the Construction Industry Training Board (CITB), Design and Build UK, amongst others. Firstly, we take a look into an article which includes comments from Mark Beacom, Operating Director at the Human Resources Consultant Michael Page recently published by UK Construction Media. The construction industry has undergone a number of changes over the past 50 years and new skills are beginning to emerge – but the rate of innovation and adoption has been very slow. As a result, companies must ensure current and future employees are equipped with the necessary skills to help fill the ever-widening skills gap the industry is facing. It is essential to a company’s growth to invest in employees by offering up-to-date training, providing apprentice schemes and harnessing new technologies that are shaping and defining the construction industry. However, current market uncertainty, driven largely by Brexit, has led to a decline in the number of people applying for jobs in the construction industry; records from Michael Page indicate a 37% decline in job applications. Traditionally, the workforce in construction has been supported by the influx of labour from Eastern Europe. However, the supply of labour coming from those regions has declined since the UK’s decision to leave the European Union, according to the CIPD. As the industry faces a decline in applications this will become a critical issue in the form of a shortage of workers with the right skill set. Businesses can also look to specialist recruiters to boost applications from a younger talent pool. There are many recruiters who are committed to helping young people prepare for the world of work. Many offering a free to use service for job seekers and will assist in supporting youth employability. Many offer a place for students looking for internships or apprenticeships and employers looking to hire them to connect directly. Through this, recruitment agencies can place a great deal of talented young individuals into the property and construction sector, giving them the opportunity to develop the skills needed. The challenge for the construction sector is to not only recruit candidates from a wider talent pool, but also to focus on hiring skilled professionals who are trained to use the emerging technologies that are now being implemented in this sector. Businesses must not only accept these changes but capitalise on them. However, as with any change of this magnitude, the benefits offered by the implementation of emerging technologies, and use of artificial intelligence (AI) in particular, are met with some challenges. Most notably businesses will need to ensure they are equipped with the right tools, staff and skills to embrace AI and automation. At this juncture, skilled employees are essential – and we anticipate a change in the skills that businesses across the construction sector will be demanding from their employees and prospective hires. As we continue to see AI and automation adoption increase in the sector, we expect to see a rise in employers expanding the skill sets they require from new employees and AI experience becoming ever more valuable. Their Pathways into construction scheme aims to connect employers with people who do not traditionally enter construction. It will also benefit those who are not in training or employment and want to enter the sector, but find it hard to do so. Construction is a major sector within the UK economy, which supports and generates millions of jobs. The latest report published by The Office for National Statistics indicates that construction output in Great Britain exceeded £14 billion for the first time in the monthly series since the monthly records began in 2010. 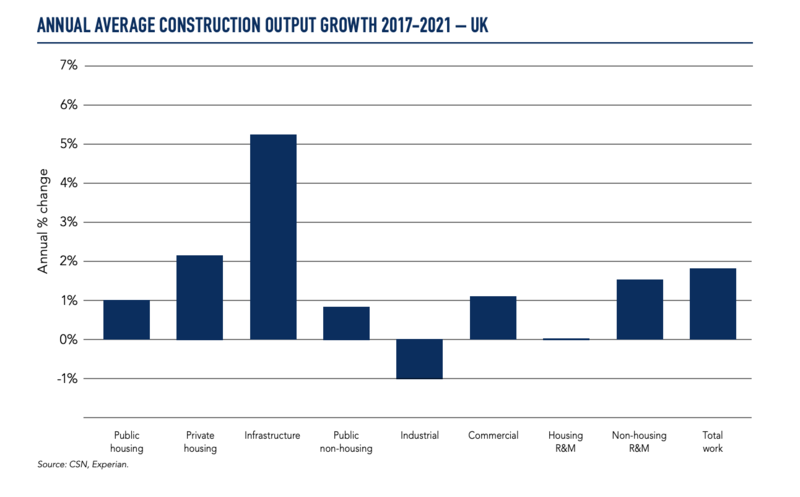 The new high of £14.042 billion represents a 28.7% growth over the last five years, which was helped by a 0.6% growth in construction output during November 2018 when compared to the previous month. Go Construct Online report that in the next five years the UK should expect 232,000 jobs to be created within the industry. Many of these will be using new and exciting techniques, technologies and materials to create buildings that are smart, sustainable and energy efficient. New technologies are being introduced to survey and maintain existing structures too; the use of aerial drones for survey and analysis of buildings, virtual reality to design and visualise structures and 3D printers. One key way to address these negative perceptions and to encourage more young people into construction is for businesses within the industry to engage with schools and colleges. More needs to be done to educate pupils – as well as and their parents and teachers – about what job options are available and what a career in construction might actually look like. It is equally important to find better ways of promoting the industry to women and students from science, technology, engineering and mathematics (STEM) subjects who would not typically consider a career in construction. While many SME construction companies have yet to take advantage of these apprenticeship programmes, others have been guilty of relying on apprenticeship schemes to complete a specific job, only to put their interns back in the training pool once the project was finished. If the industry is to survive – let alone thrive – in the next few years, we need to make a commitment young people, through offering them a clear path of opportunity and support. One way to attract more skilled professionals into the industry is for construction companies to consider implementing or increasing existing recruitment budgets. By widening talent pools and engaging freelancers on a more regular basis, companies may be able to alleviate short-term demand. However, to support long-term growth, employers also need to encourage their existing workforce to develop soft skills, such as communication and problem solving, as well as acquiring more industry-specific knowledge and training.